Its been a while since Windows Insiders are waiting for new Windows Redstone Build for their Windows 10 Mobile devices. As of now, Windows 10 Mobile Build 14295.1004 is available for Windows Insiders in fast and slow ring. But, it barely includes some changes which Windows Insiders are eagerly waiting for. Windows 10 Mobile Build 14316 was expected to arrive last week along with PC Build. But, the company failed to deliver it due to major circular bug. Today, there are no build for Windows 10 Mobile and PC. But, Gabe Aul had some good news for Windows 10 Mobile users as the company is currently evaluating build 14322 for mobiles and they aims to deliver this new build to Windows Insiders this week. 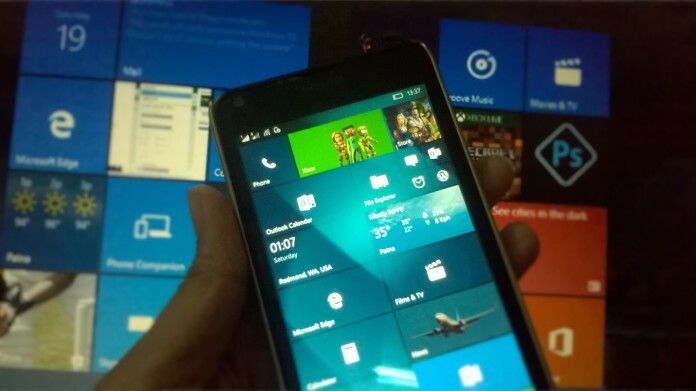 However, the release of Windows 10 Mobile Build 14322 is still uncertain. Lets hope for the best and do let us know what feature you would like to see in the next Windows 10 Mobile Build, in comments below.